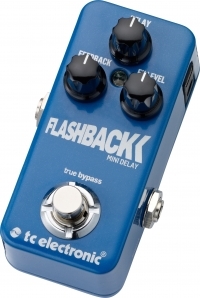 TC Electronic has taken all that you know and love about the their delay sounds and poured it into a footprint too good to be true. There's more magic per square inch In Flashback Mini Delay than you'd find in a Smurf. Just look at it. Who'd have thought such a tiny pedal houses such classic and classy delay sounds? Well, TC made it happen, and your ears and pedal board will probably be grateful. 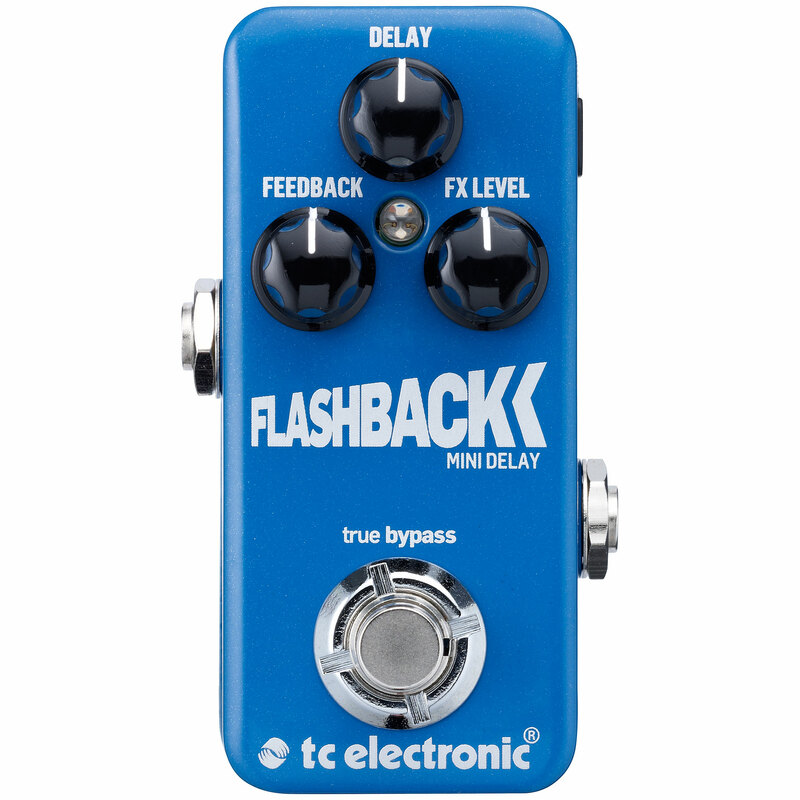 Flashback Mini Delay is TonePrint enabled. This means you get the revered TC sound multiplied to infinity with rockstar customised versions of the best delays TC has to offer - free of charge! An added benefit of TonePrint is that you can cram as many delay types into this little miracle as your heart desires. From tape, analog, the classic 2290 sound and dynamic delay, it's all here in spades!